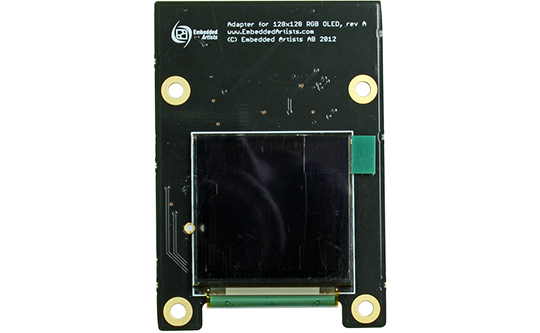 The module use the UG-2828GDEDF11 OLED from Univision Technology with integrated controlled chip SSD1351 from Solomon Systech. The display has an SPI or 8-bit parallel interface and is simple to control. The display module connects to Embedded Artists’ standard 14-pos expansion connector, and then uses the SPI interface. Several of our products have the serial expansion connector on-board.